And…. I agree with her. 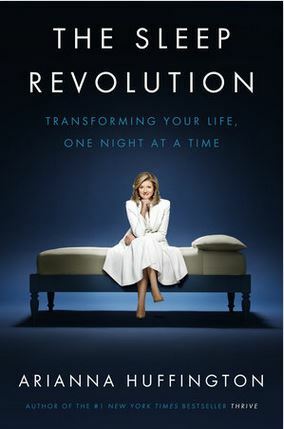 Arianna Huffington (if you need the surname, because I think that if she isn’t already in the territory of single-name fame, she’s pretty darn close) has spoken about sleep. And by spoken, I mean written a book called ‘The Sleep Revolution‘. Pretending to be able to function on a limited amount of sleep is not brave and worthy of admiration – it’s silly and benefits no-one. Sleep deprivation is not cool! Getting enough sleep is a critical, vital, non-negotiable, essential part of every day. Lack of sleep exposes you to health risks, and deprives of a range of restorative benefits. Lack of sleep also exposes you to a range of relationship risks – family, friends, and work. Every person needs to plan, and skillfully manage to (in some cases) to get enough sleep each night. We all face challenges in our lives when it comes to successfully achieving the planning and management mentioned in the last point. Sometimes sacrifices have to be made to ensure we get the sleep we need – Arianna suggests sacrifice such as not watching a TV series, I would suggest thinking twice about how much important you place on the image you present as a happy couple because you snuggle in slumbered bliss every night. Including chapters in our book about the history of sleep, and the science of sleep. Chapter 8 is titled ‘Sleeping Together’ – but that’s a whole other post. I love that someone with a voice as big and influential as Arianna’s is flying the sleep banner. While my message comes deep from the heart in trying to help all those folk whose sleep is robbed by a disruptive partner, my voice is small and I just don’t have the cred that come with being Ms Huffington. But hey… any message that flows loud and long about how important sleep is will always have my admiration and hearty support. I do wish though that I’d had enough clout to have a classy cover like hers. I never been thrilled with mine. Maybe that’s my next revolution. 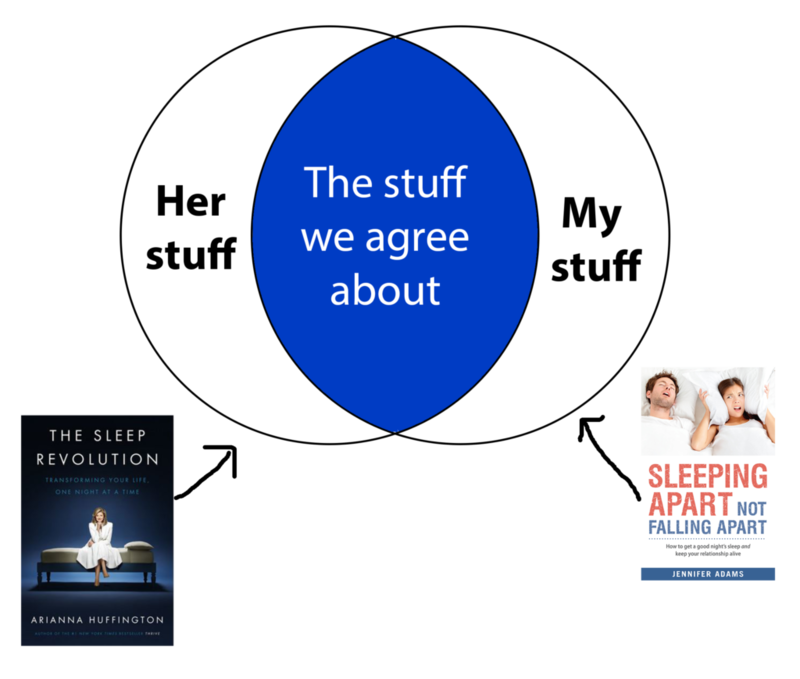 PS – If you want to see (again, or for the first time) Arianna’s TED talk about the need for sleep, click here.